Anyone who wants to contour or blend minus any streaking. 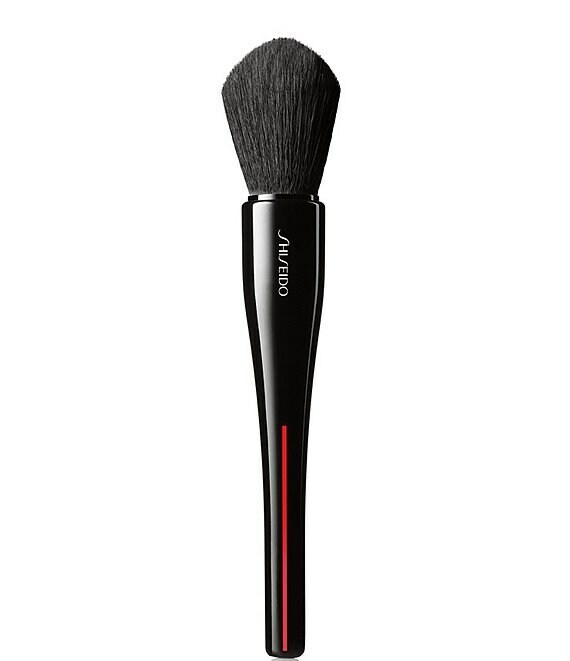 The uniquely tapered, round shape of this brush adapts to the contours of the face and is perfect for applying blush, bronzer, highlighter, and setting powder. Its carefully balanced blend of crimped and straight synthetic fibers replicates the texture of natural brush hairs. Handcrafted in Japan, this ergonomic tool features a revolutionary hidden core of densely packed, sturdy fibers surrounded by softer bristles for optimal blending. Use the pointed tip for more precise application and the rounded side to set or blend makeup. Densely packed bristles create a sturdy interior that is surrounded by a perimeter of soft, flexible fibers for easy blending and a streak-free finish. Compatible with all makeup textures, these animal-friendly fibers feature tapered tips that conform to fine lines and facial contours. Crafted to fit comfortably in the hand, the modern design makes for controlled application.